Just as nature intended: pure, organic and unrefined. That’s music to our ears at Barlean’s and our Organic Fresh Flax Oil is all those things and more. With its wholesome, nutty flavor, Barlean’s Fresh Organic Flax Oil provides a whopping 7,640mg of plant-based ALA Omega-3 fatty acid per tablespoon. 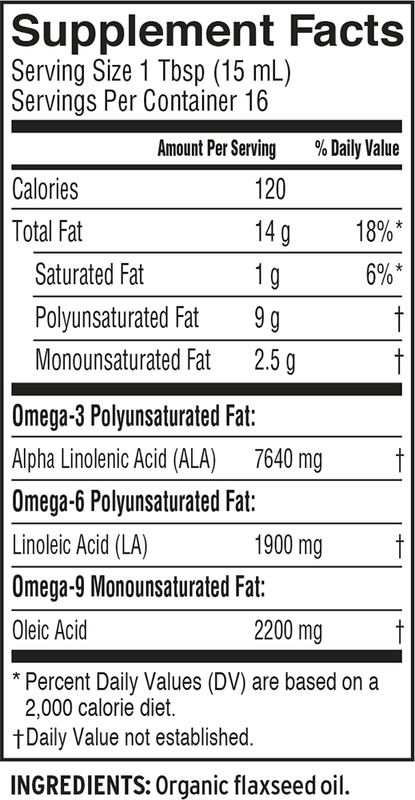 Omega-3s are vital fatty acids that cannot be produced by the body, so we need to get them from foods or supplements. Flax is the best plant-based source. 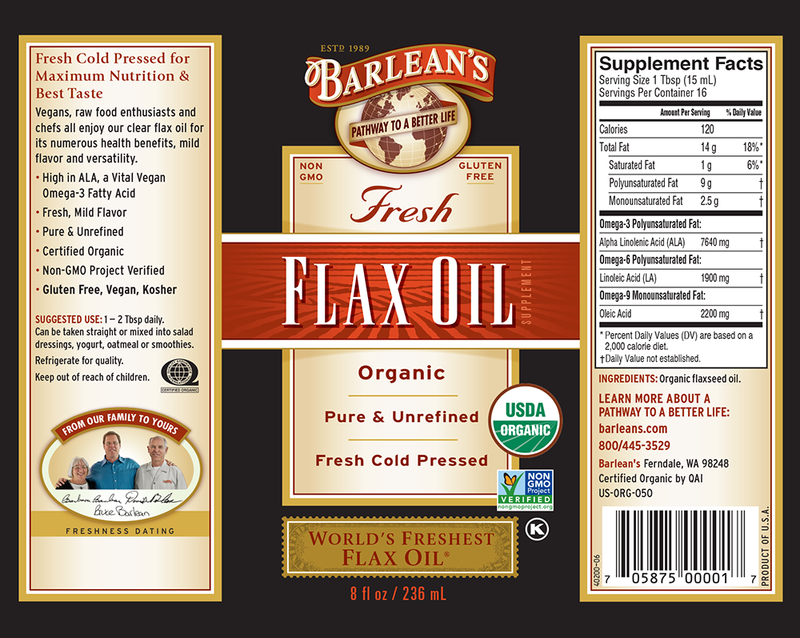 Barlean’s Organic Flax Oil is an award-winning unrefined organic flax oil, freshly pressed in the Pacific Northwest, and protected from damaging heat and light from seed to bottle. There’s a reason Barlean’s is the #1 selling organic flax oil in the world. Cyclists! Omega 3's can Help You!